Leave the driving to a professional chauffeur and travel in style to Napa or Sonoma Valley on this private tour of the wine country. 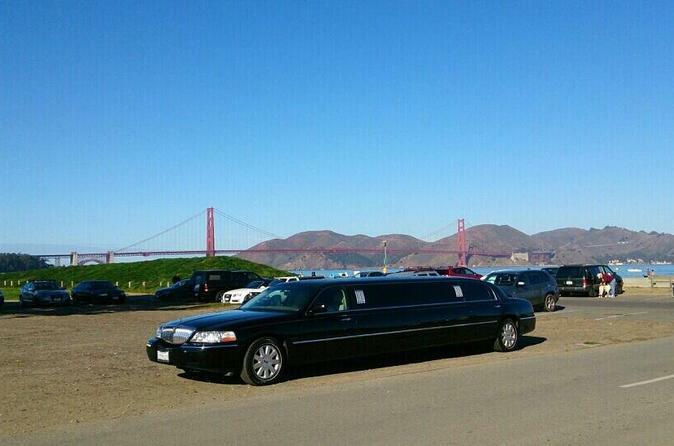 Relax in the luxurious comfort of a town car or limousine from hotels in the San Francisco Bay Area. Start with croissants and strawberries (accompanied by Champagne, if limo selected) and let your personal concierge book tastings and tours at your choice of wineries. Start your 8-hour private wine tour of Napa or the Sonoma Valley with pickup from your San Francisco or other Bay Area hotel at your desired time. You're greeted by a professional driver with a luxury town car (four passengers) or stretch limo (six to eight passengers), depending on the number in your private party. Settled comfortably inside your vehicle, start your elegant California wine country excursion with Champagne (limo only), croissants, strawberries, and bottled water. Get the VIP treatment while your personal concierge makes all of the winery reservations and tour arrangements to fit your group's specific interests, providing the ultimate wine-tasting getaway for friends or loved ones.